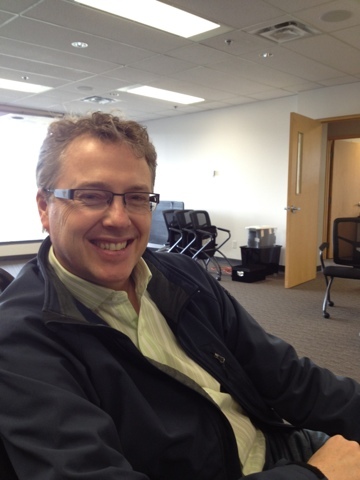 Meet Kevin – one of our recently graduated Master Blackbelts. Over the past year and a half Kevin has been travelling locally to cities across North America and internationally to Shanghai, Italy and Germany, to coach and facilitate classes with our coaches. The Master Blackbelt Program is a rigorous internship program. Through a mutual acceptance selection process, two to three Master Blackbelt candidates enter this program annually. We have been privileged this past year and half to have Kevin working with us. What strikes us most about Kevin is his genuine sincerity and quiet leadership style, blended with his vision and humility. In many ways he can be described, in the words of Jim Collins (author of Good to Great) as a Level 5 Leader. They are somewhat self-effacing individuals who deflect adulation, yet who have an almost stoic resolve to do absolutely whatever it takes to make the company great, channeling their ego needs away from themselves and into the larger goal of building a great company. It's not that Level 5 leaders have no ego or self-interest. Indeed, they are incredibly ambitious—but their ambition is first and foremost for the institution and its greatness, not for themselves. Thank you Kevin! It has been our pleasure to have you on board. You are a true lean leader.